The idea behind this umbrella topic is to observe the continuous changes that have been part of Europe as we know it over the past hundred years. From the two World Wars and the 1929 economic crisis, to the Fall of the Berlin Wall in 1989, Europe has constantly been facing challenges that left great marks on its development. The festival invites the visitors to confront the visual reminders of the past and reconsider their understanding of Europe today in relation to what came before. As stated on the official MDF website: Europe is frequently defined according to its borders. This poses a variety of questions concerning, for instance, the ways in which extreme or gradual changes and rejections are experienced; how utopias impact our idea of the future; what perspectives are currently emerging; and how the other and the foreign enrich our lives and culture. The 6th European Month of Photography Berlin embarks on a journey of discovery, responding to these questions with historical and contemporary exhibitions. Going back to the very beginnings of documentary photography, “The World c. 1914” exhibition takes the viewer to distant realms – both physical and those of collective memory – creating a colourful journey of the black-and-white past on the way. The exhibition is devoted to presenting the lesser known colour photographs and films commissioned by French banker Albert Kahn before the outbreak of the First World War. Kahn, inspired and motivated by the colour photography of the Lumière brothers, gave the commission to photographers, as well as students who benefited from his scholarship fund, at a time when Europe’s greatest powers were already preparing for the disaster to come. His master plan was to build the Archives de la planète, with colour photographs from all over the world. As a result, 70,000 colour shots have been preserved up to today, defying history and time, and still do their best to serve the initial purpose: performing a peace mission by bringing strangers closer to each other. One simply cannot be indifferent to Kahn’s undertaking: the exhibition features the most remote and distant villages of far East Asia, as well as less known snippets of everyday life in what was at the time the Austro-Hungarian Balkan region. These photographs should be seen by every modern European and non-European alike. 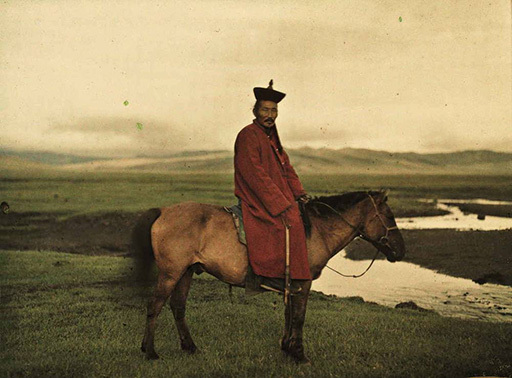 With their artistic, painting-like flair of early colour photographs, they are a testimony to the not-so-far gone times that preceded the modern European structures. With a couple of other exhibitions on the MDF table, you can easily continue the journey through time by going from 1914 to “Photography in World War I” (Museum for Photography), “Propaganda Photographer in World War II: Benno Wundshammer” (Deutsch-Russisches Museum Berlin-Karlshorst), or “Stasi – Secret Rooms” (Stiftung Starke, Löwenpalais Grunewald) amongst many others (see the website for the full event list). I, on the other hand, took a leap from 1914 to the 21st century, visiting “Ensembles Assembled” and “#ACHTENS“ next. “Ensembles Assembled” by Katrin Korfmann is an exhibition focused on collective rituals in which the individual identity fades in its connection to a larger community. 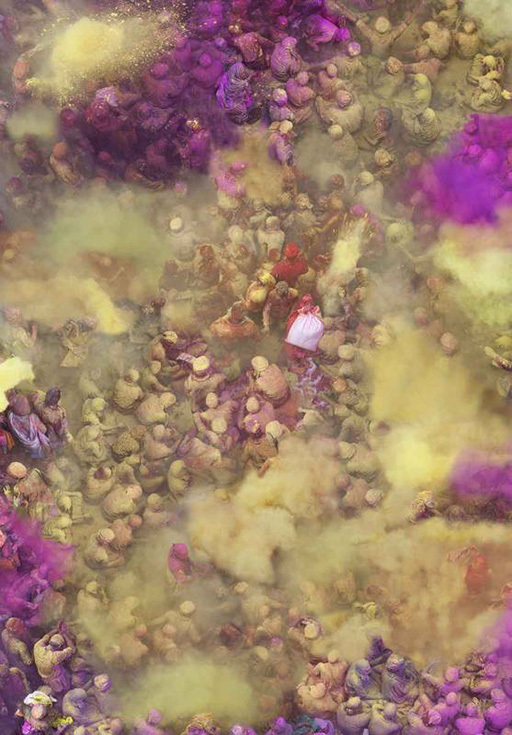 Her works, shot mostly from a bird’s-eye view, often show the organism of a community in perfect harmony with its human parts engaged in common activities. Each individual is equal in this dance of communal life. Moreover, the visual method of monochromatic and patterned masses – organized in forms and sequences – adds a greater feeling of creative approaches to living through coloration and corporeality, thus smoothing the geometric synchronicity of some of the images. If you are overburdened with the heavy marks of history imprinted by and documented during the World Wars, prison camps and political affairs, Korfmann’s work can give you just the right “pause” and the needed energizing effect, restoring the hope that humanity can work perfectly well with its smaller individual human bits and pieces. After transitioning from early photographic projects to contemporary attempts to apply similar photographic methods, I finally felt ready to visit the “#ACHTENS” exhibition, warmly recommended to me by my colleagues at “emerge – Online Magazine for Young German Photojournalism” where I am interning this semester. As graduates of the Ostkreuz School of Photography, my colleagues themselves have years ago exhibited their photo projects at one of the final Ostkreuz group exhibitions. The Ostkreuz School of Photography is part of the photographers’ agency Ostkreuz, which is considered to be one of Germany’s most influential and internationally renowned photo agencies. This fall, after three and a half years of studying documentary/art photography or photo editing, the eighth graduating class of the Ostkreuz School present their final exhibits that altogether balance between social documentary and art photography, addressing different realities in countries such as Germany, Romania, Finland, and Brazil. The showing displays and discusses a plethora of topics – from city life and heritage stories, to traumatized soldiers and escapes into dream worlds. Another thing that makes this exhibition special and worth seeing is the effort that students invest in their projects. The Ostkreuz photography school is where people come, learn about and do photography – with the final project as the ultimate outcome of all that they have assembled and done throughout the years they have spent at Ostkreuz. And, if you are lucky, you can always meet some of these young artistic/storytelling photographers at the show, and personally ask them about their work! As the MDF Berlin is approaching its end, I am already starting to feel a sense of premature nostalgia. There is just something special in photographic narratives behind which lies a whole lot of thought, investment of personal energy, and the conquest of many challenges that wind up on the path of discovering “the story.” Even uninformed spectators can easily pick up on the strength of a visual narrative with a relevant background story from a well thought through and balanced image. That said, MDF Berlin 2014 definitely has a lot of such narratives to offer – so while there is still some time left – I warmly recommend you to embrace the idea of visual time travelling and escape the cold November fall by going to South American districts, summer Balkan markets, or wherever else you feel inclined to travel. There are definitely not many places and techniques that are not covered by this year’s photography hub in Berlin. Enjoy!